Ava J Bernstine, affectionately called Flava, native to Los Angeles, is one of the Industry’s sought after dancers. She is a well-versed dancer whose dance style is influenced by, but not limited to her hip-hop, jazz, ballet and contemporary training. 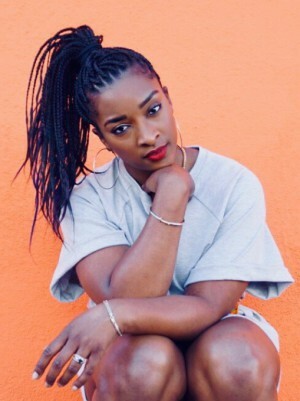 Prior to her dance career taking off, Ava attended Cal State University Northridge where she studied journalism and is actively pursuing her writing in Arts and Music Entertainment on the side. Ava has also worked along side Debbie Allen since 2001, assisting her in multiple projects and teaching at the Debbie Allen Dance Academy. She is a young, energetic, and passionate dancer who, although teaches, is humbled and considers herself to still be a student of the art. She enjoys teaching and believes that it is important as a dancer to know your history, and because dance is ever evolving, know where it’s going. Her style is fun, hard-hitting and funky and has influences from her modern and jazz training. Although feminine, she can get down just as hard as the guys. Ava's favorite quote: "Why Walk, When You Can Dance?"